Who says short hair girls can't have big hair? I’ve always loved hair with a bit of texture and volume, which explains why I’ve never rebonded my hair. I feel that texture gives the hair more movement and a more natural look, both on the go and on the red carpet. I used to have long, wavy hair, which looks very luxurious when offset with fitted dresses for events, but since I’ve cut my hair short for 2 years, I’ve still paid attention to creating volume in my hair – it just adds an extra oomph to your whole look, especially when you’re walking down the streets and your hair moves and sways together with you. The bob style is extremely easy to carry off volume, especially when you curl them in at the ends, or in general when you twist dry it or curl small sections of it to create a wavy bob. But for us straight hair girls, it's also kind of a pain to achieve; very often I find myself waking up with completely flat hair, especially at the crown, since my hair is really fine. And then I'll have to spend the next 10mins blowdrying and curling in the ends to create the volume = me being always late. 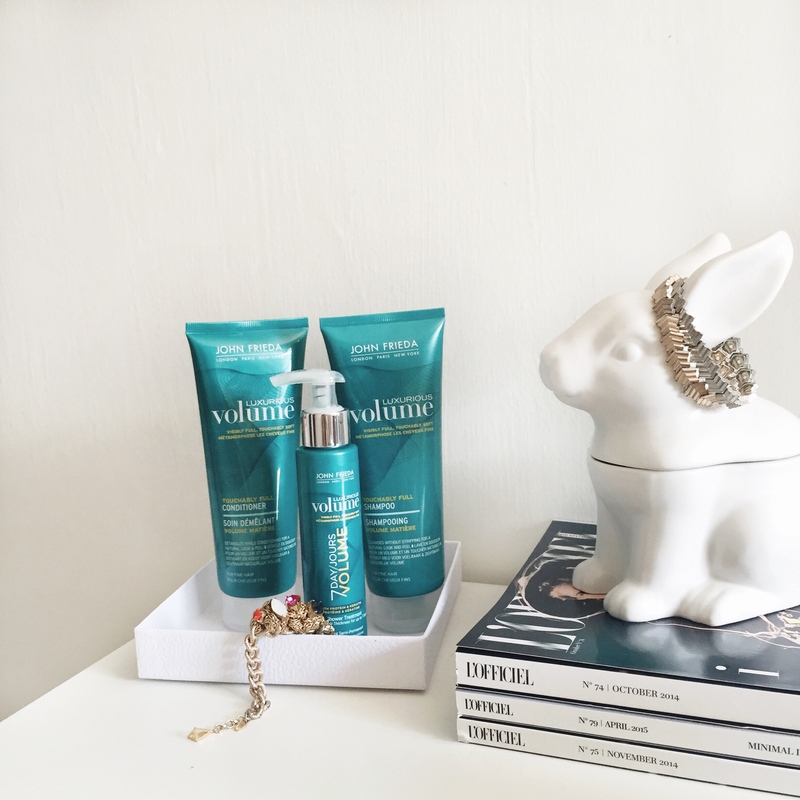 That's why I've decided to put John Frieda's newest voluminizing range of haircare products to the challenge and put together the steps below to achieving a voluminous crown of hair. Shampoo and condition with John Frieda Luxurious Volume range. Apply 3-4pumps of John Frieda 7 Day Volume In-Shower Treatment, leave on for 3-5 minutes then rinse out. When blow drying, use a round boar bristle hairbrush to lift your hair up at the roots and blow dry the crown first. Use a curl in motion using the round brush to lift up your roots and aim your hairdryer at a 45 deg angle at the brush, instead of directly on top or in front of it. If you have really fine hair which tends to get oily, you can spray a little bit of dry shampoo at the roots, which will serve to give it more volume as well. The in-shower treatment is the one that does most of the work for voluminizing. Its formula creates texture by building a polymer network onto hair fibres, hence giving your hair with added texture to build atop each other. The result is light, bouncy hair, which feels fuller, especially when I blow dry my hair right after applying the treatment. Here’s the before and after photos. I tried to make it easy to compare by wearing the same top and shooting against the same wall in the photos. 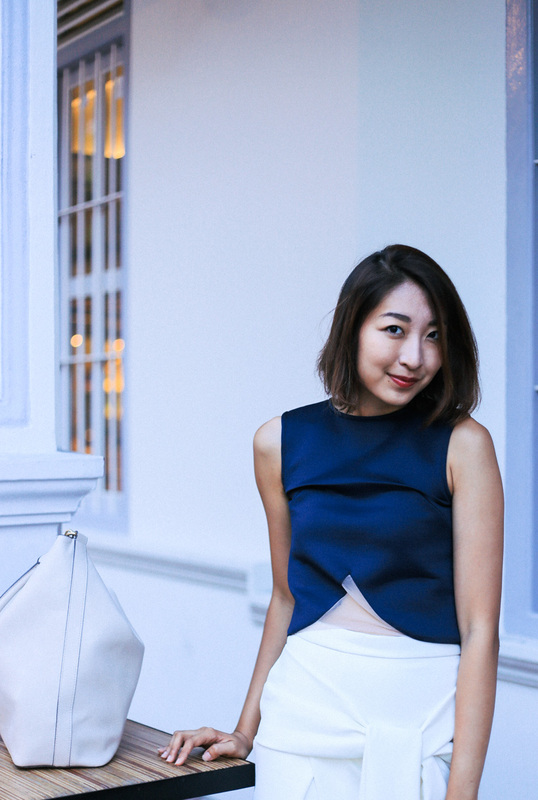 Before, my hair was easily super flat and straight – basically just hanging straight down from the roots. Obviously, you can see a lot more volume in the After photo, especially at the root area. 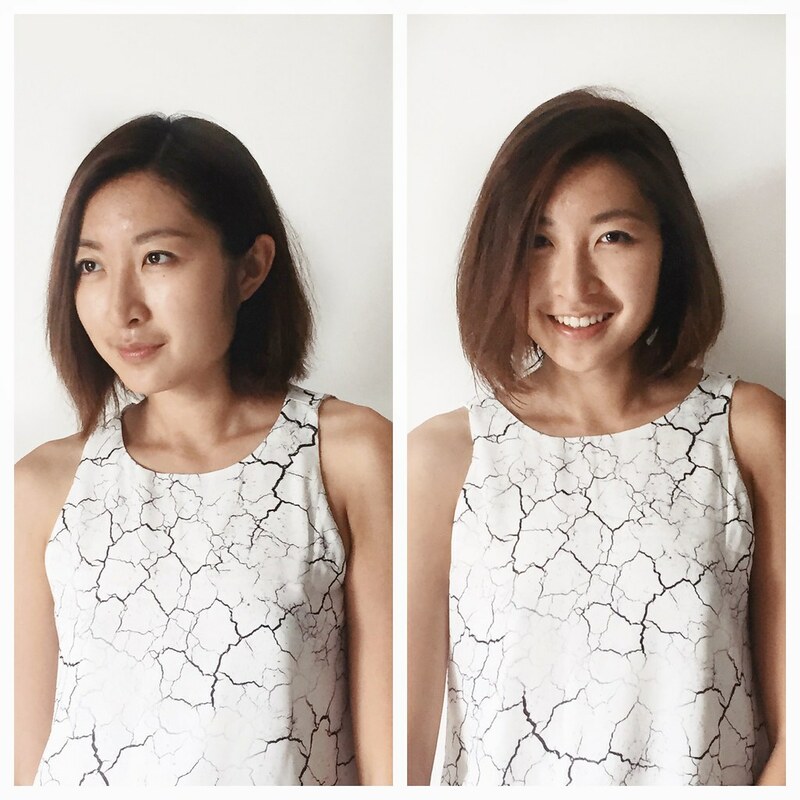 When I was blowdrying, I could feel that my hair had a thicker texture, and felt more full, making it easier to further style my hair to maintain this curvy bob look. This treatment lasts for about 3 washes for me, but according to John Frieda, it would last up to 7 days, depending on your original hair condition and texture. For more info please visit John Frieda on their site here, and like them on Facebook. Disclosure: The above content was sponsored by John Frieda but all views are my own.